Comfort and style come together with this transitional reclining sofa. 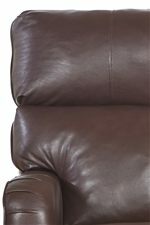 Slim track arms on either side, a separated pub-style back and fully padded chaise seat add to the comfort of this recliner. Update your family living room with this sofa and create a space where you can gather comfortably with family or friends. 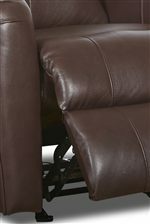 The Axis 25803 Transitional Reclining Sofa by Klaussner at AHFA in the area. Product availability may vary. Contact us for the most current availability on this product.